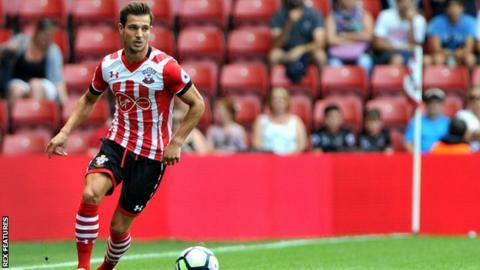 Southampton defender Cedric Soares has signed a new four-year contract keeping him at the club until 2020. Cedric joined Southampton for £4.7m last summer and made 27 appearances in the 2015-16 season, scoring twice. The 24-year-old played four times at Euro 2016 as part of the Portugal team which won the tournament. "I'm really happy," the right-back said. "The club has given me more confidence and they show me that they also trust in my football." Saints manager Claude Puel added: "He is an international player, he won Euro 2016 with Portugal and it's important for the club to keep players of his calibre. "I'm happy for him and for us to keep Cédric with this team. He is a good player, important, a technical player and I am sure he will do many good things this season." Southampton have also signed former Arsenal, Aston Villa and Manchester City goalkeeper Stuart Taylor, 35, on a one-year deal. Taylor had been without a club since leaving Leeds United in the summer of 2015.